The Terralite XPS Transmit Station is an integral part of TrimbleTerralite XPS positioning infrastructure. By broadcasting a proprietary new signal, called "XPS," to one or more mobile GPS+XPS receivers, users can benefit from continuous real-time positioning information, when and where GPS can't. Mounted on mobile stands and powered by a solar panel array, Terralite transmit stations are self-sufficient and easy to deploy around the work site. The self-surveying Terralite system can be quickly and easily repositioned to ensure maximum position coverage. Field rugged and designed to withstand the harshest of environments, the Terralite XPS transmitters are easily installed and positioned around the rim of the pit. After setup, the transmitters automatically begin to provide independent, yet interoperable, XPS signals to any number of Trimble GPS+XPS receivers. 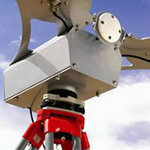 Developed for machine guidance, control, and surveying applications that require fast, low-latency positioning, Terralite transmitters and GPS+XPS receivers are compatible with any GPS-enabled applications that accept standard positioning inputs, such as Modular's ProVisionTM drill, dozer, and shovel systems. Machine applications aimed at boosting mine productivity and efficiency rely on accurate and available Real-time Kinematic (RTK) GPS positions. Accomplishing this typically requires tracking of a minimum of four satellites with good "geometry," a condition often not met in deep, open-pit mines. The TerraliteTM XPS System solves this availability problem using a network of ground-based transmit stations. 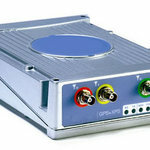 By broadcasting a proprietary new signal, called "XPS," to one or more mobile GPS+XPS receivers, operators of GPS-enabled machines can benefit from continuous real-time positioning information, when and where GPS can't. Incorporating state-of-the-art positioning and radio frequency technology, the system combines portable, free-standing Terralite transmit stations with a new category of tri-frequency GPS+XPS capable receivers. With a network of Terralite transmitters broadcasting a new, independent positioning signal called "XPS," mine operators can compute accurate 3 dimensional positions in locations that standard GPS alone can't reach, such as in pits where satellite signals are blocked by steep highwalls. Standard positioning outputs support the most popular GPS-enabled applications already running in the mine - so with Terralite XPS, the only big change is your up-time. The Terralite GPS+XPS receiver is an integral part of Trimble's Terralite XPS system, providing the ultimate position availably solution by continuously operating when and where GPS can't. When used in conjunction with Terralite XPS ground-based transmit stations, the receiver is capable of interoperable tracking of both GPS and Trimble's proprietary "XPS" signals to provide seamless positioning data. Developed for machine guidance, control, and surveying applications that require fast, low-latency positioning, the GPS+XPS receiver is compatible with any GPS-enabled applications that accept standard positioning inputs, such as Modular's ProVisionTM drill, dozer, and shovel systems. A standard installation kit includes a shock-mounted GPS+XPS receiver, antenna, and cabling.